At the heart of our business are our values. We're committed to helping protect the planet, defending human rights, activating self-esteem, supporting Community Fair Trade and ensuring that all our products are cruelty-free and not tested on animals. It's not just part of our jobs, it’s part of our DNA. The Body Shop is an internationally known British Brand with stores in over 66 markets worldwide and is now present in Sri Lanka. However experienced you are, the first days in a new working environment can be a big change. You are probably excited and enthusiastic but a little nervous. At The Body Shop, we want to welcome you properly and give you with the right support from the very beginning. Whether you’re a recent graduate or an experienced professional, we’ll provide you with a personalized integration programme. Our integration programme (called FIT) will offer you the following opportunities: to get into store to understand the retail heart of our business; to attend a Discovery seminar to give you a thorough overview of our business and experience of our brand; a personalized schedule of meetings to build your network; on-the-job learning with your manager, and team and individual guidance from HR. 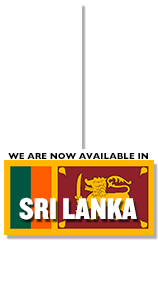 We have launched our first store in Sri Lanka. At the heart of our stores is the team, usually made up of a Store Manager, Store Supervisor, Make-up Artist and Beauty Advisor. 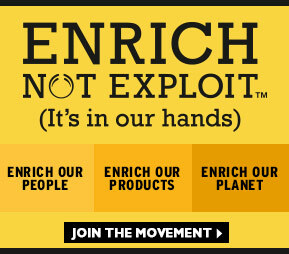 We’re looking for people who are full of energy and passionate about what The Body Shop stands for. We also recruit people who have a strong desire to get involved with customers, and can bring the brand and products to life with their natural storytelling ability. We love our products and we want you too, so you’ll be interested in the beauty industry and will keep up to date with new beauty trends. Careers in the head office. We have a range of exciting opportunities including careers in Merchandising, Marketing, Digital, Training, Operations, IT, finance, Project management, values, human resources and Supply Chain Management..
We offer internships across a variety of business areas including Finance, Retail, Operations, Marketing and Commercial. We offer a range of internship possibilities from work experience for summer internship roles. Interested in joining our awesome brand?